Designed by Magic Makers, Inc. & printed by US Playing Co. This red faced poker deck soars across your spectator?s eyes with full color court cards sporting black and white pips. 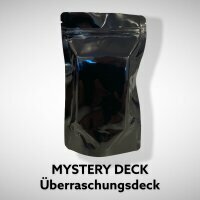 This deck holds 4 bonus magic cards sure to take your card work to the highest levels of illusion. 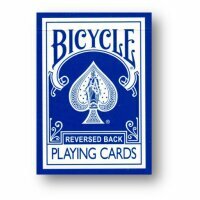 Extra cards support the King Card Trick, A Red Joker Trick, The Red Deck Becomes Blank, and More!